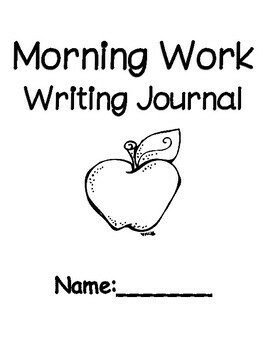 This engaging journal is a great tool to help students develop their nonfiction writing skills. 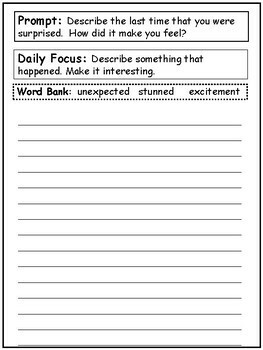 Each prompt gives the students a focus for that prompt. It also gives the students a word bank for that prompt. 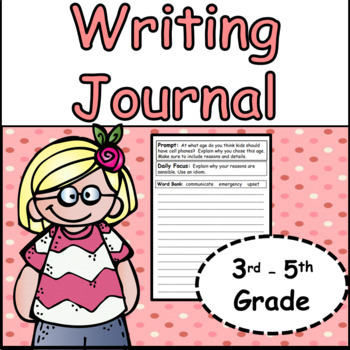 There are editorial, persuasive, and expository prompts. 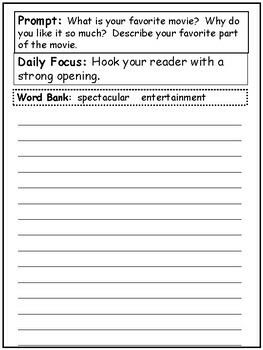 How To Use: Each week, focus on a different prompt. Read and discuss examples of that type of writing. Review the editing checklist. There are 28 prompts.